Instead of obsessing over our "crisis," we should remind ourselves of what those seeking refuge in Canada have suffered, and what we as Canadians can do to help. There's no doubt that Canada is facing serious challenges handling the arrival of thousands of asylum-seekers who have come into this country. Since the beginning of 2017, more than 30,000 people have crossed at unofficial entry points to claim asylum, and the majority of Canadians — 67 per cent, according to a recent Angus Reid poll — believe this constitutes a crisis. That belief is not unfounded: the number of refugee claims by people who crossed into Canada between points of entry is way up compared to a year ago, and municipalities are struggling to house them. 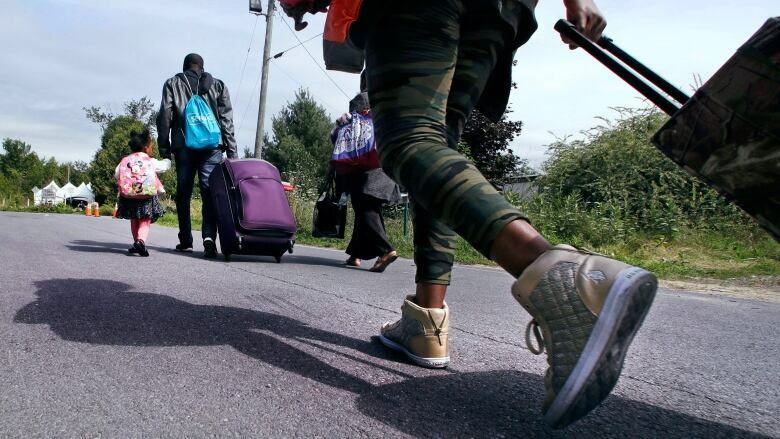 The number of border-crossers in Quebec has tripled in the last year, and the province is appealing to the federal government for support. So too is Ontario, especially as the deadline looms for hundreds of refugees in Toronto to vacate university dormitories, which were being repurposed as temporary shelters for the summer. So there are definitely logistical challenges, but we need to maintain some perspective. For starters: Canada has very few options in terms of controlling the numbers of people who apply for asylum. Building a wall along the U.S. border, or sending them back is not an option; if you step foot on Canadian soil you can claim asylum, and extending the Safe Third Country Agreement to the entire border can't happen without the Americans' agreement. Although the number of asylum-seekers seems huge, especially when refugees are concentrated in just a few major cities, the influx is manageable. The numbers Canada is seeing is nothing compared to Europe, for example, which received over a million migrants in 2015, though the numbers have declined over the last couple of years — down to around 56,000 so far in 2018. In response to public pressure and in recognition of the ongoing crisis, the EU is moving forward with plans to establish secure asylum claim processing centres. With some careful, long-term planning, we too can find ways to accommodate those seeking asylum, and even welcome those who need it. 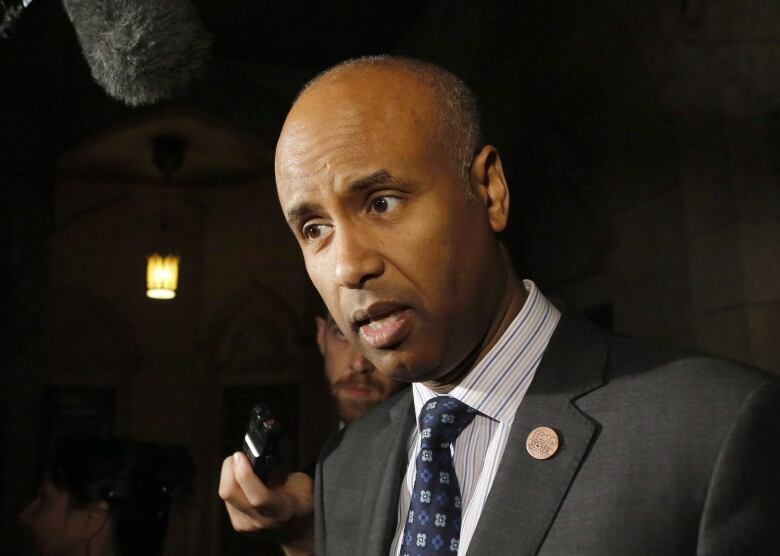 Some of that planning has already started: Minister of Immigration, Refugees and Citizenship Ahmed Hussen has promised $50 million to provinces across Canada to help with housing, and the government plans to speed up processing at unofficial border crossings by hiring more staff to address the backlog. There may be some ways to slow the influx of migrants also: clear and consistent messaging about Canadian immigration and policies abroad should emphasize that an application is not a guarantee. According to the Immigration and Refugee Board of Canada, only around 47 per cent of finalized refugee claims made by those who entered between points of entry from the beginning of 2017 to March 2018 were accepted. Diplomats, politicians and other government workers should repeatedly note, publicly, that while applications for asylum are always welcome, they will be processed with due diligence and many will be rejected. As various levels of government work to address the logistical problems associated with this influx of migrants, Canadians would do well to remember what this "crisis" is really all about. Only 29 per cent of respondents polled by Angus Reid said they felt the government should focus on helping victims — partly because of doubt over the legitimacy of those victims' claims to asylum. But bogus refugee claims will eventually be sorted from the legitimate ones, meaning that those 71 per cent of Canadians who are rationing their feelings of generosity are really doing so needlessly. The decision on whether asylum is justified should be left to courts, not public opinion. While the U.S. is basically turning its back on the world's poor, desperate and oppressed (the Justice Department is reportedly considering legislation that would bar any person who entered the country illegally from receiving asylum), Canada has taken the opposite approach. Through Prime Minister Justin Trudeau, we have sent a welcome message to refugees — rightfully so — and we need to honour it. Rather than a point of division, this should be a point of pride. The era of "the American dream" is clearly coming to an end, as evidenced by the numbers of asylum-seekers coming from the U.S. into Canada, bolstered by the calls from legal scholars and civil liberty groups to suspend the Safe Third Country Agreement on the grounds that the U.S. is no longer safe for refugees. Where the U.S. has abdicated its commitment to vulnerable people, Canada can and has stepped up. "The American dream" is now becoming "the Canadian dream." This is not to understate the enormous challenge of accommodating this influx of asylum-seekers, but we can't let the logistical problems obfuscate the fact that we have a moral responsibility to help people who are in danger and in desperate need. Canada faces many domestic challenges, but that does not absolve our moral responsibility to recognize the rights and claims of refugees — rights declared by the 1951 Refugee Convention. The reception that Canada gives to these newcomers, many of whom have likely faced great trauma, should be a source of pride for Canadians. Instead of obsessing over our crisis, we should remind ourselves of what these people have suffered and what we as Canadians can do to help.